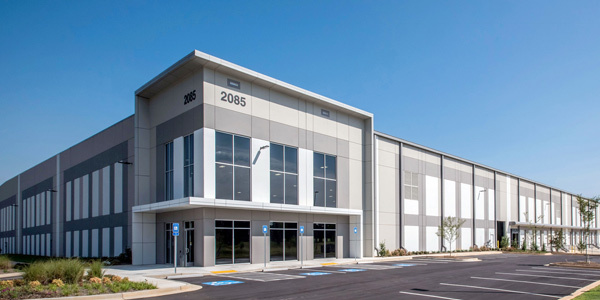 The 714,560 square foot, cross-dock McDonough Commerce Center building includes 116 dock doors, 4 drive-in doors and 240 trailer parking spaces. The 53-acre site located in Henry County is zoned M-1 Industrial. The project features frontage along I-75 and is situated between Exit 216 (Hwy 155) and Exit 218 (Hwy 20) with high visibility from I-75. Georgia-Pacific, Whirlpool, Carlisle Tire & Wheel, Genco Distribution Systems, Home Depot, Ken’s Foods, Kumho Tires and Atlantic Trucking are just a few of the corporate neighbors located nearby. The building, leased by ScottsMiracle-Gro, provides consumers with a wide-range of lawn care, garden and home protection products.